Hi there friends! I sure hope your weekend is starting off great 💙 We have had lovely weather the last couple days and it's really nice to finally feel like Spring is here. I'm super excited to be part of the Cheeky Studio Spring Into Scrappin Video Hop! If you haven't heard of Cheeky Studio, then you are in for a treat! They have lots of beautiful ephemera, cards and kits in their shop, along with some other fun products. I've included links and a 10% off code below. I recently picked up these adorable Llotsa Llama cards and ephemera pack and thought they would go beautifully with the llama pics from our visit to a local farm. Of course, these are so sweet you could use them on absolutely anything! I used a sketch from Scrapbookin Adventures and changed it around a bit as a starting point for this layout. I used some pretty papers from the Bloom collection by Photoplay along with some Tattered Angels Mists for pops of lovely spring colours. These resist letters turned out great with the Tattered Angels Mists, and the flowers in the ephemera package were perfect to layer around the photos and journaling cards. I added some journaling onto this sweet card and used the sentiments from the Little Llama stamp set by Pretty Cute Stamps around my page. You get an amazing amount of diecuts in this ephemera set! I finished off by adding SpiegelMom Scraps sequins for some bling. Here's the process video where you can see how I created this page! 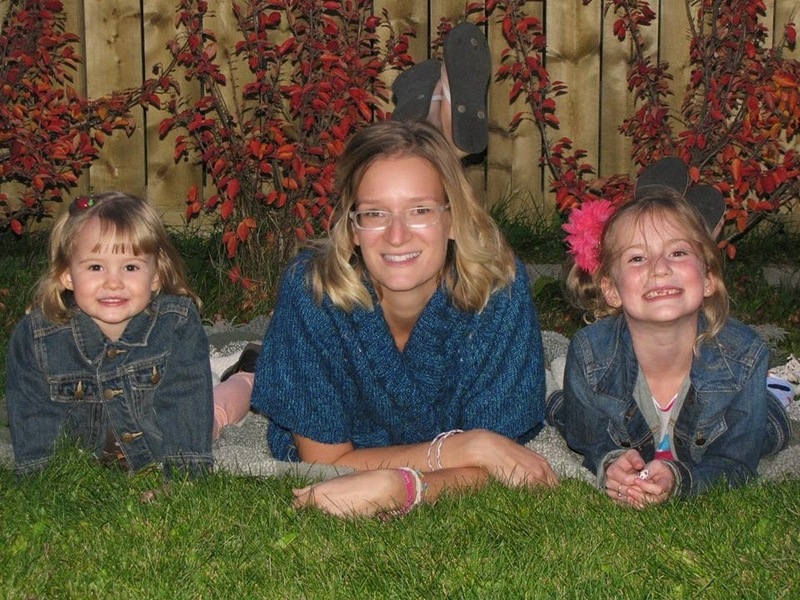 Be sure to head over to see Beth Soler’s amazing project, next on the stop! Beth Soler - NEXT STOP! 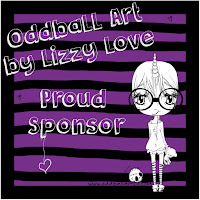 Be sure to comment on Tuesdae Hubbard’s video for a chance to win a giveaway she’s offering as the owner of Cheeky Studio! Use code GUEST10 to save 10% off your order at the Cheeky Studio shop! You can find the Llotsa Llama cards, ephemera and the full collection HERE. Thanks so much for stopping by. I hope you have a lovely weekend and these awesome videos inspire you to do a little crafting yourself! Hello! I'm over on the Kitty Bee Designs blog today sharing a card using this adorable little Kitty Bee Designs Definitely Tea Panda digi stamp! It is finally spring here in Alberta (this week anyway ;) so I'm definitely in the mood for some bright spring colours. And, being a tea-lover this was a super easy image to have fun with! I used a pretty pink polka dot paper that was included in last month's Sampler Kit from Scrapbook & Cards Today Magazine and then layered on some sweet papers from Your Next Stamp. I coloured this cutie up with Jane Davenport Magic Wand coloured pencils and added some white gel pen highlights before cutting her out with a stitched die. The sweet little sentiment from Your Next Stamp worked perfectly heat embossed on black cardstock with white powder! Don't be afraid to pull out other stamp sets you have to combine them with your digis. I added a few pretty SpiegelMom Scraps sequins and a cute cork heart to finish it off. Thanks so much for stopping by today! 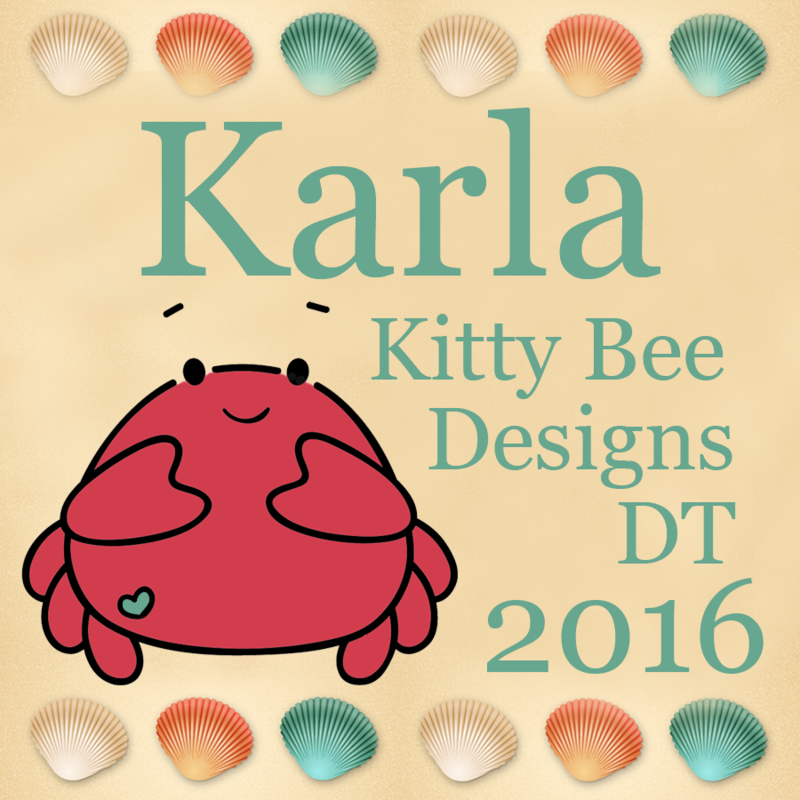 Be sure to check out the Kitty Bee Designs shop to see all the sweet images available as well as the Kitty Bee Designs blog for much for inspiration! 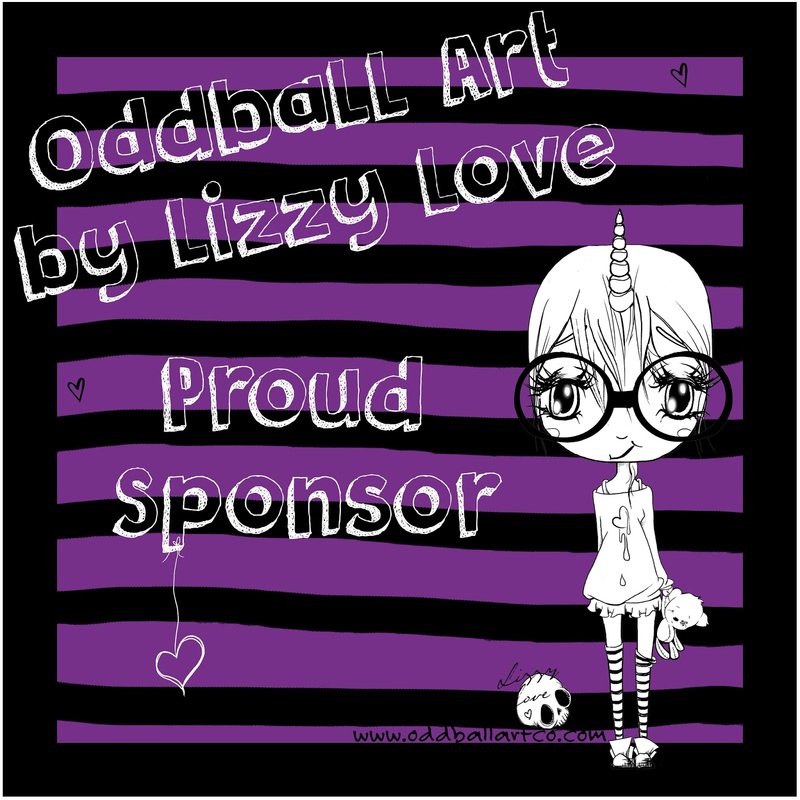 And don't forget we have a bi-weekly challenge on the Kitty Bee Designs Aloha Friday Challenge blog where you can enter for a chance to win a prize from our awesome sponsors. Whew, that's almost a tongue twister! Well, I'm so happy to be on the Canvas Corp Brands Creative Crew again this year!! 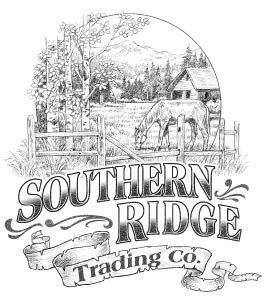 They are an amazing family owned company and have a wonderful assortment of products. 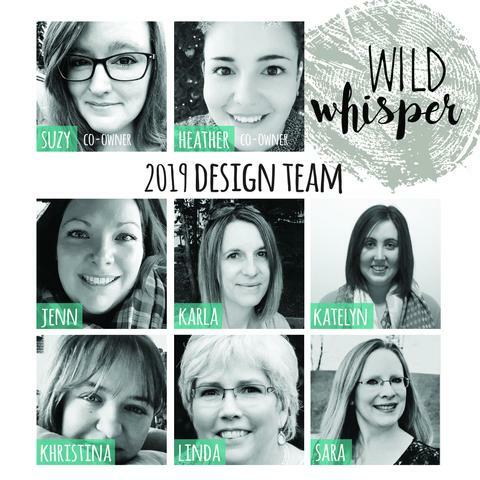 Definitely a dream to be on their design team! Every year the DT gets to create a 4x4 canvas using the beautiful products from CCB - which include Tattered Angels, 7gypsies and Canvas Corp Brands. These 4x4 canvases represent each DT member's unique style. One thing I love about CCB is that they don't want everyone fitting into the same box and they celebrate the different talents that each person brings to working with them. This year I wanted to start with a beautiful rub-on from the 7gypsies Architextures Pose Rub-ons. These rub-ons are sooo super cool! They are meant to look like a vintage stamped image, and you can use them on numerous surfaces. I wanted the beautiful texture of the natural canvas to show through so after I applied the face rub-on I used various Tattered Angels translucent Mists to paint in my face and background. I used some of the 7gypsies Architextures Short Base Doily Stickers (a wonderful product you can use as a stencil, a sticker, you can alter....) to the corners of my canvas and glued on a pretty Little Birdie Crafts butterfly. I used one of the gorgeous 7gypsies Architextures stickers and added a rub-on sentiment. This girl stickers was a Michaels Exclusive! Some Little Birdie Crafts glitter was glued around the canvas for a little more sparkle. These pretty canvas flowers from Little Birdie Crafts were just perfect to spray with the Tattered Angels Mists. I added touches of gold to the leaves as well and layered them on the canvas. Thanks so much for stopping by today! You can find the link to all the Crew's fantastic creations HERE, and just by clicking on the 4x4 pics you can find your way to each person's blog. You might just discover someone new to follow, and a lot of great inspiration! SpiegelMom Scraps - Happy Easter Layout & Sale Code! Hello! I hope you all had a fabulous weekend! We have finally had three nice days - no snow! I'm so happy! 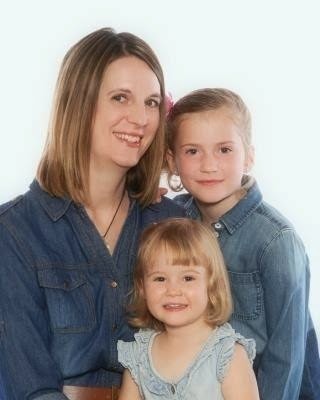 We got out today with the girls and went to the park. It's amazing how great I feel just seeing that sun and not having to put on winter boots, lol! Today I'm sharing this sweet Easter layout that I posted on the SpiegelMom Scraps blog last week. It was our scraplift week, and I decided to use inspiration from the speech bubbles on a wonderful layout HERE by 'ScrappyMom' @prettypapers22 on Instagram. You can check out all the details and closeups HERE. There's a sale on at the SpiegelMom Scraps shop right now - use the code SCS2018 to save 25% off your purchase from now until April 29th! Thanks so much for stopping by! I hope you have a wonderful week ahead! Hi Friends! I hope you've been having a lovely week so far! I've had lots of fun creating projects lately and here's one more for you! It's time for the midweek inspiration for Challenge #116 over at the Kitty Bee Designs Challenge Blog - Aloha Friday! I'm sharing a sweet little rainy day digital image - April Showers from Sparkle N Sprinkle on this lovely spring card today! I used my Jane Davenport Magic Wand colouring pencils to colour the image and then cut it out with a Spellbinders Nestabilities die. A little foam tape gives the focal image some dimension after layering it on pretty My Mind's Eye, BoBunny and Your Next Stamp papers - all edged with Distress Inks. The pretty MME flower brad and a couple butterfly confetti's with gems add to the spring feel. I found the perfect rainy day sentiment to add from a Pretty Cute Stamp set! I added details to the boots and umbrellas with gel pens and used blue Stickles to add glittery highlights to the raindrops. Inside, I used another sentiment from Pretty Cute Stamps and a third butterfly confetti embellishment. Hi friends! I hope you're having an awesome week! I wanted to share a pocket page layout I posted on the SpiegelMom Scraps Instagram feed last week using photos of my girls having a lovely tea party. Our theme this month is 'recycling' and 'flowers' so I chose to use lovely flowery prints from the Maggie Holmes Bloom paper pad along with amazing vintage pieces from the 7gypsies Architexture Enjoy Stash Paque, including pieces taken right from the packaging - which is one of the cool things about the Architextures products! I printed a couple cards directly from the Project Life app and used some tea stamps from Pretty Cute Stamps to decorate them along with the beautiful SMS sequins. I love when you find tiny flowers in the sequin mixes! This vintage tea pot and cut from the Stash Paque is so lovely. I also used some of the 7gypsies Architextures Tall Base Swirls on this card, which are dimensional stickers you can cut, colour and layer! 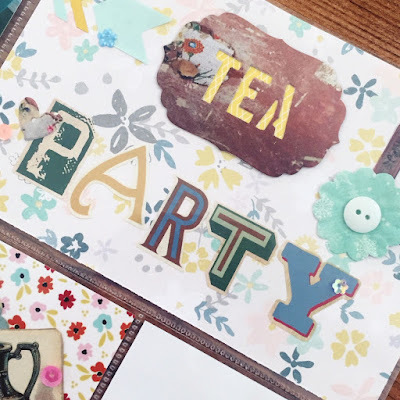 I used some alphabet dies to cut out the 'TEA' from a diecut piece of the packaging and added some 'party' stickers included in the Stash booklet. 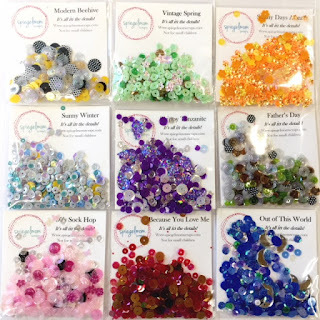 Here's a look at the lovely SMS sequin mixes I used for this layout - Hello Colorful You, Vintage Spring and Sunflower Fields. 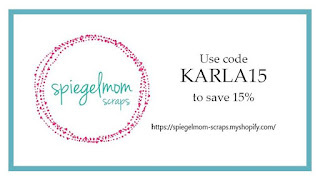 Be sure to use the code KARLA15 to save 15% off all your purchases at the SpiegelMom Scraps Shop! Thanks so much for stopping by today! I hope you have a happy and very crafty week ahead! Emerald Creek Craft Supplies - April Flower Card and VIDEO! Hello! I hope you've all had a lovely weekend! We had a couple birthday parties that the girls celebrated with friends, and Sunday we spent doing some spring cleaning. And, of course, some relaxing and crafting 😉 I'm back today to share a card for the Emerald Creek Blog, and this month our 'Dare Challenge' theme is Flowers (check out the link at the bottom to find out how to enter your own Flower project for a chance to WIN!) Spring is a little late coming to Alberta, but crafting with flowers makes me feel better! I chose to work with the gorgeous Vintage Timepiece Stamp, which has some beautiful flowers on it and I went with a rusty orange and patina blue colour scheme that could work for a feminine or a masculine card. A coating of the Vintage Beeswax Baked Texture Embossing Powder over the embossed timepiece image creates a lovely texture! The metal embellishments turned out so cool after they were heat embossed! It's fun to try embossing powder on all types of surfaces! Inside, I added a Pretty Pink Posh sentiment and a stamped flower embellishment using the Emerald Creek Carnations Stamp, repeating the stamp on the envelope to coordinate them. Be sure to check out the Emerald Creek Craft Supplies shop* for these and many more amazing supplies, and the Emerald Creek Blog for much for inspiration and details on how to enter your own flower project for a chance to win a $25 gift certificate!! Plus, you'll get 10% off just for linking up (code on blog)! *affiliate links used at no cost to you to help support my blog 💓 Thanks so much for stopping by, and have a wonderful week ahead! Tattered Angels Video - 10 Ways To Use High Impact Paints! Hello! I'm always so excited to bring you videos using amazing Canvas Corp Brand products, and today I'm sharing a fun video on 10 Ways To Use Tattered Angels High Impact Paints! Here's a look at all the projects I created using these amazing High Impact Paints. They go on like butter and have so many fantastic uses! And here's the video! Click the link here to go to the YouTube channel for a list of the supplies I used, or watch below. I decided to make a Thank You card for my project using this Floral Emblem from Cricut Access in Design Space. I used floral papers from the Maggie Holmes Bloom paper pad to layer on the cardbase as well as to diecut in my Cricut Explore. Because the papers were so soft I added a little Distress Inks sponged around the edges of the cuts. In order to place all the cut elements just right, I first laid the negative image on top and then glued each cut into the open areas. After I pulled off the negative I was left with perfectly placed diecuts! I added a handmade paper flower from Little Birdie Crafts to the center of the floral emblem diecut and used the SpiegelMom Scraps Southern Bluebells Sequin Mix to add a little sparkly bling to areas on my card. I really love the look of sequins on a card! Inside, I used a Many Thanks sentiment from the Jasmine cartridge. I cut 3 of them at once and layered them to create a thicker embellishment. I added a few more sequins, and you can see how they just add that extra detail! 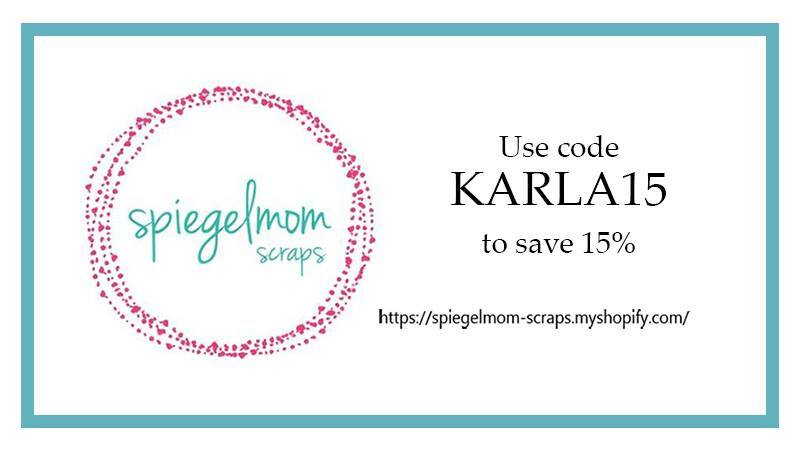 You can use the code KARLA15 to save 15% off your purchases at the SpiegelMom Scraps shop! Thanks so much for stopping by today! I hope you have an awesome week ahead 💓Be sure to stop by the Fantabulous Cricut Challenge blog to see what all the other Design Team members have come up with and enter your own for a chance to win a sparkly prize from our amazing sponsor, SpiegelMom Scraps! !